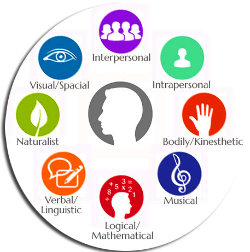 Gardner has identified the following intelligences: Verbal/Linguistic, Logical/Mathematical, Visual/Spatial, Bodily/Kinesthetic, Musical, Intrapersonal, Interpersonal and Naturalist. 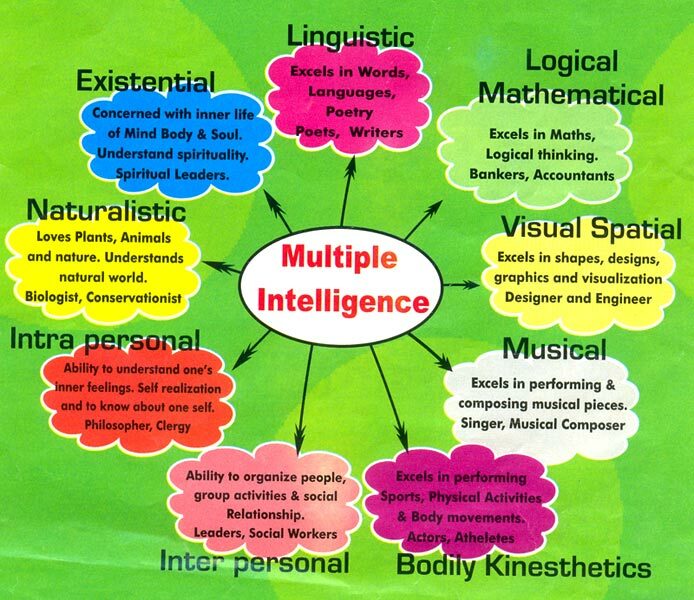 Each intelligence is summarized below. 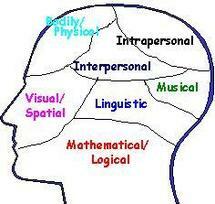 ​People with Visual/Spatial intelligence are very aware of their surroundings and are good at remembering images. They have a keen sense of direction and often enjoy maps. They have a sharp sense of space, distance and measurement. ​People with Interpersonal intelligence thrive with social interaction. They are gifted at establishing rapport with strangers and make friends easily. They are adept at reading, empathizing and understanding others. 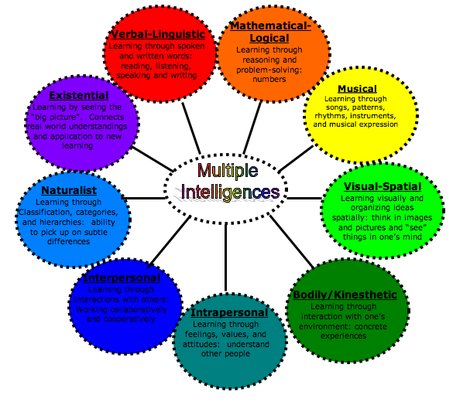 People with Interpersonal intelligence work well with others and often have many friends. They are masters at collaboration.